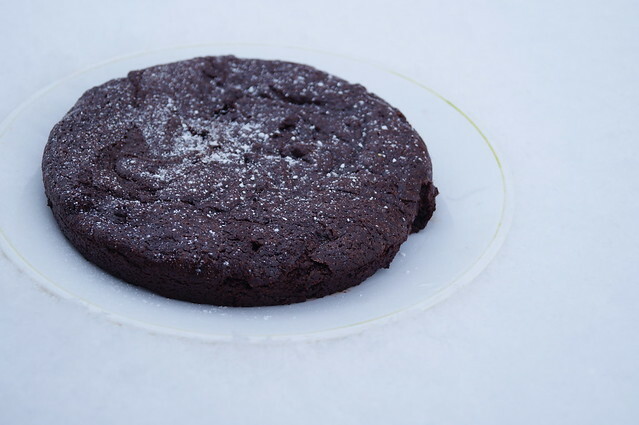 Do you have a good flourless chocolate cake recipe? I know one of you is GF. I googled it but was overwhelmed by the amount of results! Than the mood came. I love chocolate and her talking about chocolate made my mouth water. I looked through my tried and true recipes and discovered that I did not (*gasp*) have one. So I found one that was not in my tried and true recipes and made it myself to find out if it is worthy to be added to my tried and true recipes. And it was. This chocolate cake is not at all like the kind from a box mix. 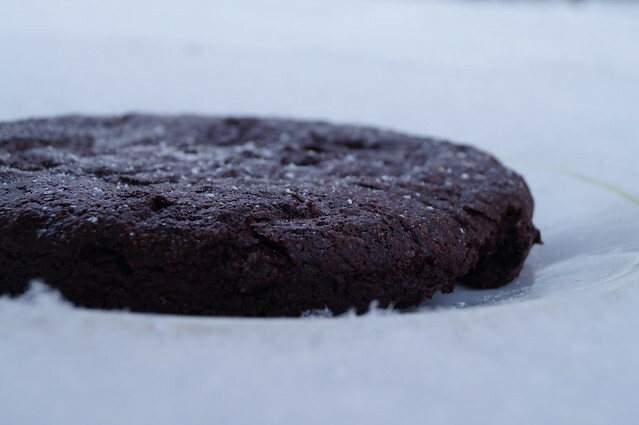 Rather than being light, it is more dense, fudgy and chocolaty…and… delicious….mmmm!!! The kind that you just have to have a glass of milk or (even better!) ice cream with! Preheat oven to 300º F. Grease an 8-inch round cake pan and dust with cocoa powder. In the top of a double broiler over lightly simmering water, melt chocolate and butter. Remove from heat, and stir in sugar, cocoa powder, eggs, and vanilla. Pour into prepared pan. Bake in preheated oven for 35-40 minutes. Let cool in pan for 10 minutes, then turn out onto a plate. or if your powdered sugar container is empty (like ours), then turn it upside down over the cake and pound the bottom to get that little bit around the edges onto your cake…like I did. …and serve with ice cream. I can’t wait to try this! Thanks Susannah! That looks sooo good! I have been eating more GF lately, and found that peanut butter cookies are super good! (And easy to make). I just might have to try this — looks so yummy! 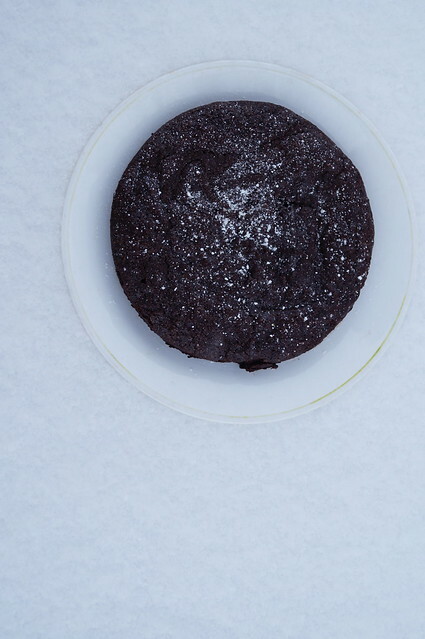 I’ve also got a really good flourless chocolate cake recipe— actually I just made it again last night! 😀 But yours looks pretty good, too! Yum looks amazing I gotta try this!